LAS VEGAS -- Toyota Motor Corp. wants you and your car to be friends. On Wednesday at CES, the industry trade show formerly known as the Consumer Electronics Show, the automaker unveiled its “Concept-i” vehicle, a futuristic-looking car with an artificially intelligent assistant built in. “We need to look beyond the simple driver-vehicle interface and focus on the driver-vehicle relationship,” said Bob Carter, senior vice president of automotive operations at Toyota. 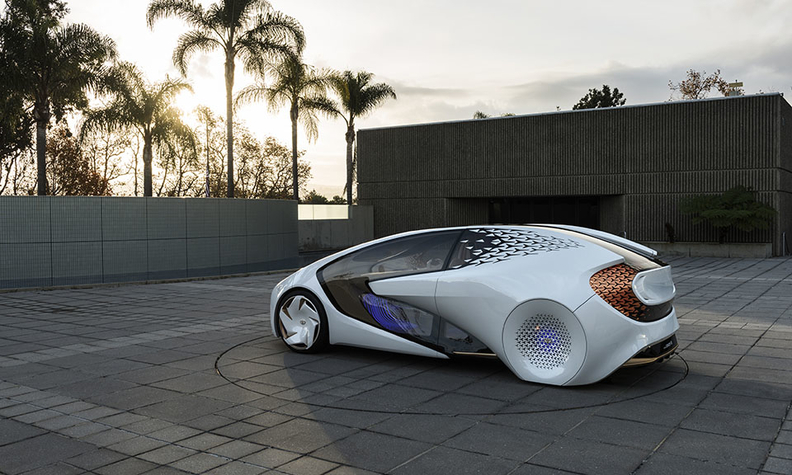 Embedded in Concept-i is “Yui,” Toyota’s artificial intelligence system. Yui is intended to monitor driver behavior and mood to determine the vehicle’s actions. It also interacts with the driver -- Yui was demonstrated on screen as a cartoon circle -- to facilitate the driver-vehicle relationship. Carter did not say if the vehicle was intended for production, but said Toyota will be testing some of the concept’s technologies on Japan roads in the next few years.